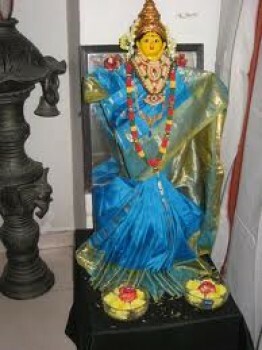 Varalakshmi vratham is performed on the friday just before the Sravana Poornima or the full moon day.It is a vrat that was advised to goddess Parvati by Lord Shiva, so that women could get all the benefits like spending long life along with husbands with children and gradchildren, wealth and prosperity. Goddess Varalakshmi is worshipped with great Bhakti or devotion on this day. Ladies from the neighbourhood are invited to the house and Vayanams are distributed. This year the Varalakshmi vratam is being observed on August 24th 2018.